Ecological coffee cup made of corn powder, bamboo fiber and a synthetic resin. For a delicious and sustainable cup of coffee 'on the go' in Paris or another city. Indispensable must-have for the contemporary city dweller or citytripper. Ecological coffee cup made of corn powder, bamboo fiber and a synthetic resin. For a delicious and sustainable cup of coffee 'on the go' in Amsterdam or another city. Indispensable must-have for the contemporary city dweller or citytripper. Ecological coffee cup made of corn powder, bamboo fiber and a synthetic resin. For a delicious and sustainable cup of coffee 'on the go' in Berlin or another city. Indispensable must-have for the contemporary city dweller or citytripper. Mug for coffee, tea or other hot drinks. 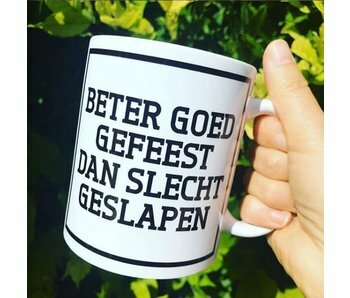 With the ultimate print for all party animals: 'Beter Goed Gefeest Dan Slecht Geslapen' (meaning: 'Better a Good Party than a Bad Sleep'). 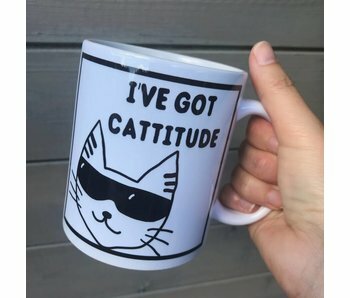 Mug for coffee, tea or other hot drinks. With the dutch-french phrase 'Je Tire Mon Plan'.